“The Right Time” Coming Soon! 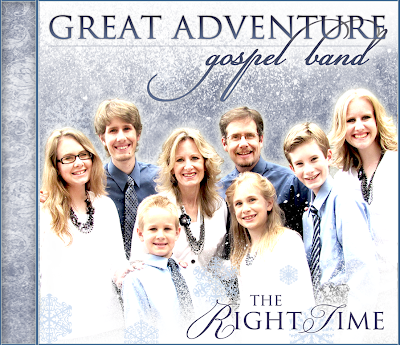 Great Adventure Gospel Band’s second CD coming soon! 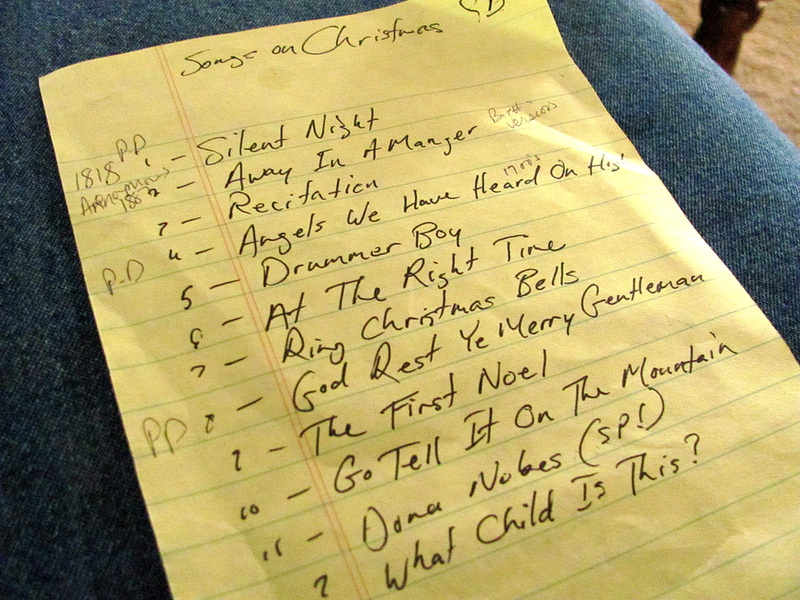 The song list for our upcoming Christmas CD. 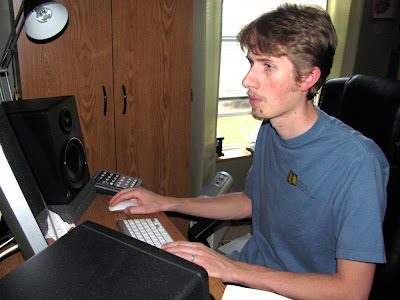 Ben – our wonderful engineer has worked tirelessly on the project. 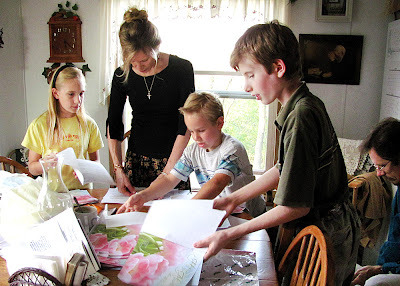 This Saturday and Sunday (10/8 – 10/9) found us busy wrapping up the CD. Ben set about mastering the CD on Sunday afternoon with Leesha lending a listening ear. 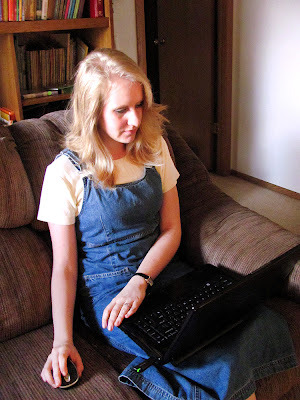 Taylor working on the graphic design for “The Right Time” on Sunday afternoon. Yes, we are in the throes of finishing up our first Christmas CD, and are thrilled to be almost done with it! 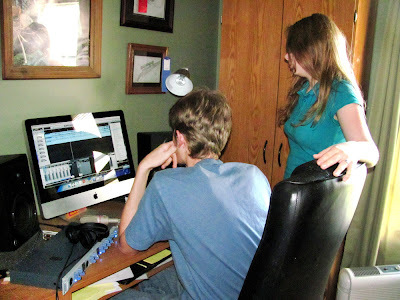 There are a few minor details to be completed before we send the CD off to the replicators, but Lord-willing, “The Right Time” will be available for purchase this month! We will keep you all posted on specifics. Question on the cover: Real snow in the background, or Photoshopped? Thanks for your sweet encouragement! The cover took plenty of tweaking to get it where it is now…and there still may be more tweaking before it’s sent off to the replicators! How exciting that you all are coming out with another CD! I LOVE the cover design!! You did a fantastic job on it! I’m rooting for all original songs!